Also known as the “Happiest 5K on the planet,” The Color Run is a race that celebrates healthiness, happiness and individuality. It is an un-timed 5K run in which thousands of people are splashed with colour at each kilometer. You run at your own pace, so you can spend time at each colour zone, basking in the coloured goodness. This run promotes healthy living as most runners are first time 5k runners and the focus is on healthy living and wellness. They call this the happiest 5K on the planet because that is just it–everyone is there to have a good time with friends and family. Lastly, the individual aspect pertains to runners who range from toddlers to 80 year olds, first time runners and even professional athletes. 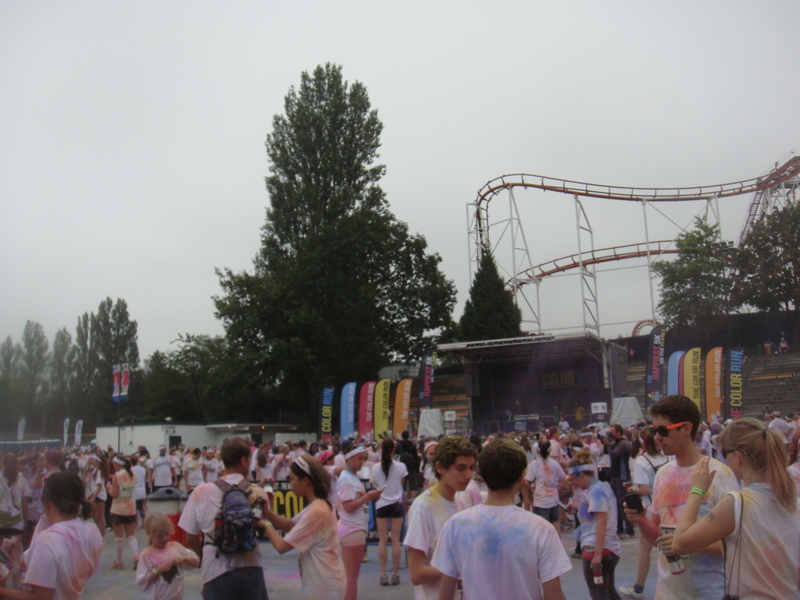 In Vancouver, the Color Run route was inside The Pacific National Exhibition grounds. 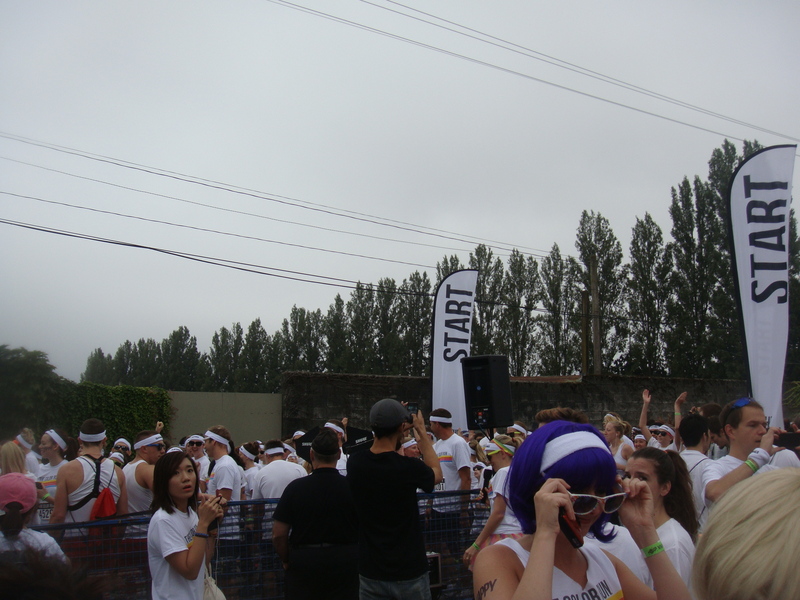 This was my first 5K running event, so I had no idea what to expect. You also begin your run in different waves. It is basically first come first serve, so as soon as you have your tshirts on, line up! The actual colours are made of food grade cornstarch that is 100% natural and safe. 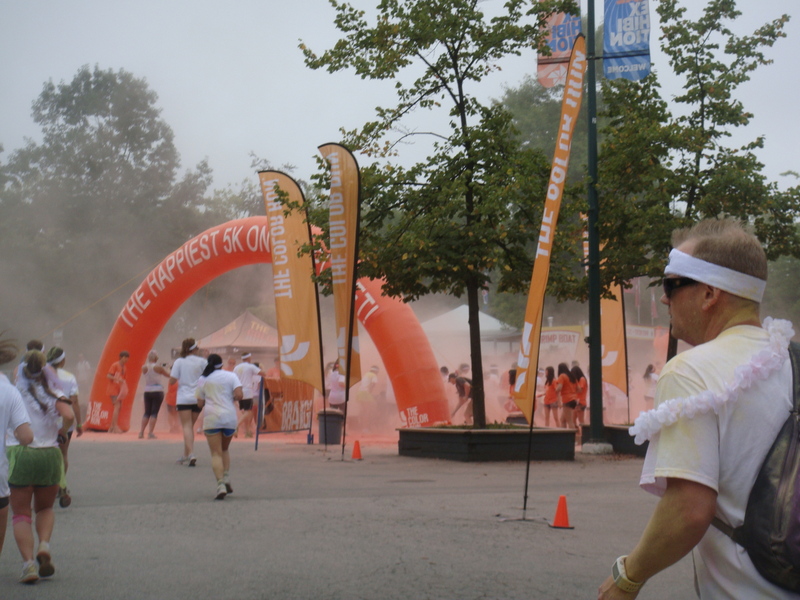 The colour zones were quite an experience to run through. You are doused in the colours by people who throw handfuls right at you! If you ever participate, I suggest that you keep your eyes and mouths closed while running through. It will get everywhere! Make sure that you also bring a pair of sunglasses to semi help from getting the powder into your eyes. Once we hit the 4K mark, I knew that we were almost done. I am pretty proud of myself for pushing and not giving up. Seeing that I can do this means that I can do anything. 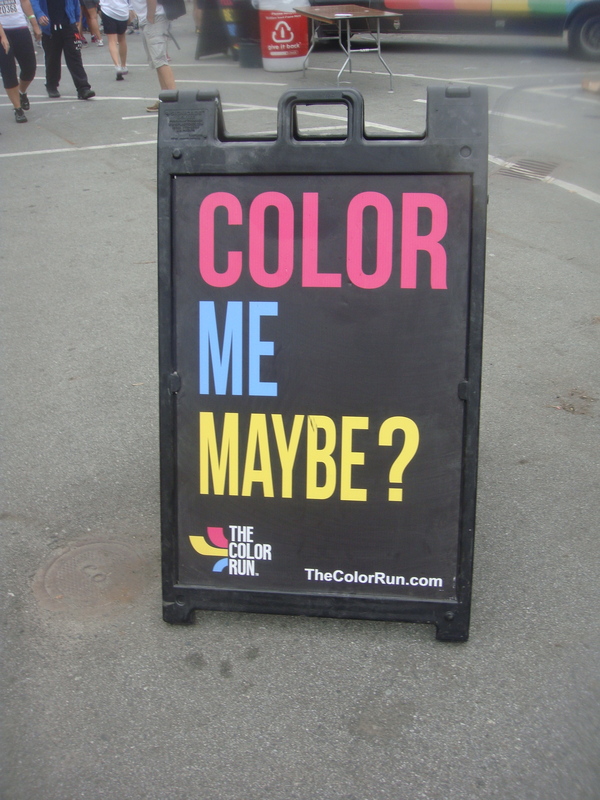 With that being said, I hope to attend the Sun Run next year for the first time. TIP: You will be allowed to pick up your running packets a day or two before the event, but if you do not have the time and have to pick it up the day of, ARRIVE AS EARLY AS YOU CAN! We got there around 7:30am the day of and didn’t finish our run until about 10:30am. People were still lining up to get their race packets when we were finished! The Color Run was quite an experience that I will never forget. Hopefully you get to take part in this colourful event too one day! Congrats on finishing your first 5k race! This was very encouraging to read – I am training to do a 5k for the first time and I’ve just finished my first week. This one looks super fun! Thanks Tracy! It was an awesome experience :) Good luck, you can do it! Congrats! That looks like so much fun! I’d love to do that.